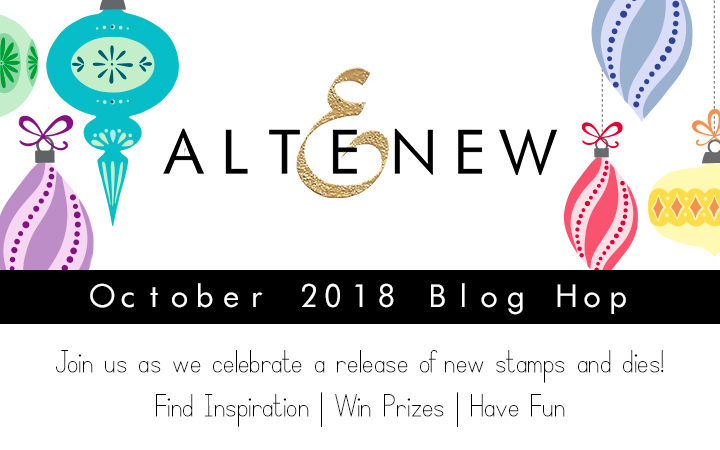 Welcome to the Altenew October 2018 Stamp/Die Release Blog Hop + Giveaway. You should have arrived from Kymona Tracey's blog . 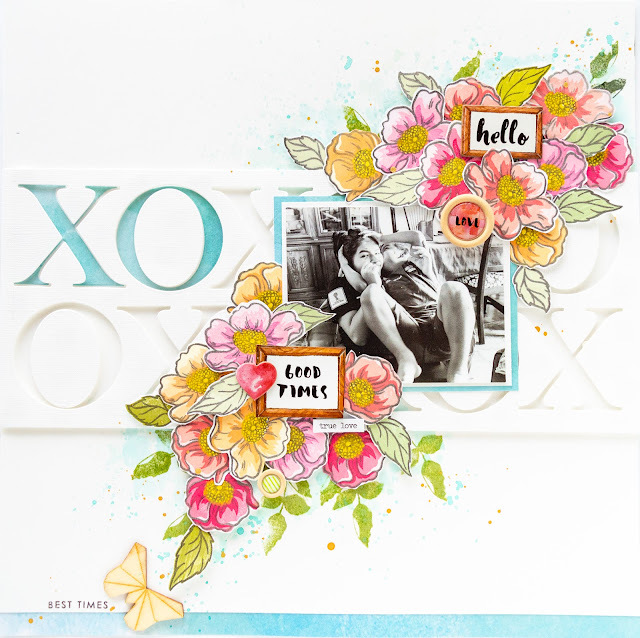 I am so excited to have been invited by Altenew to be part of this release blog hop, and couldn't just chose one stamp or die set, as there are so many beautiful products being released this month. So, let's better show you some of the beautiful products at work. 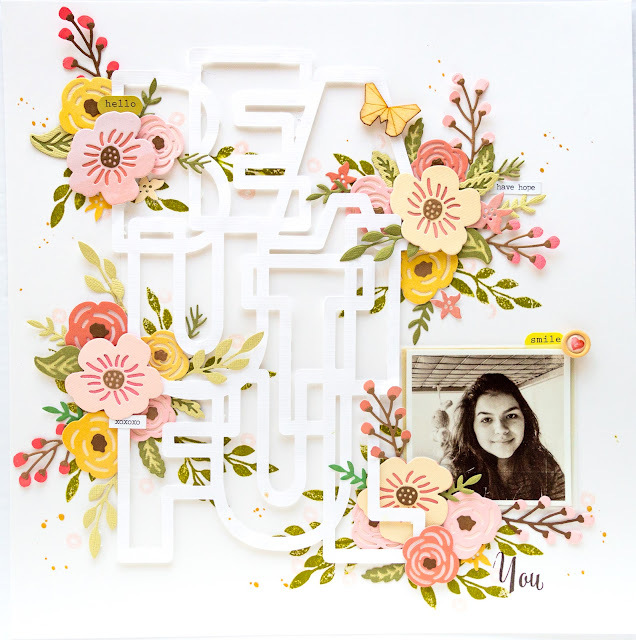 Love all the soft tones and details in the Layered Floral Elements bring out the details in the cut file, and are the perfect contrast/complement to the picture of my daughter. But, since we are talking dies, then let me show you a few more projects created with two of this month's new die sets, the Classic Alphabet Die, and The Layered Snowflakes Die sets. If you have seen my work, then you know that i love adding large titles/words as part of the focal point of my projects. 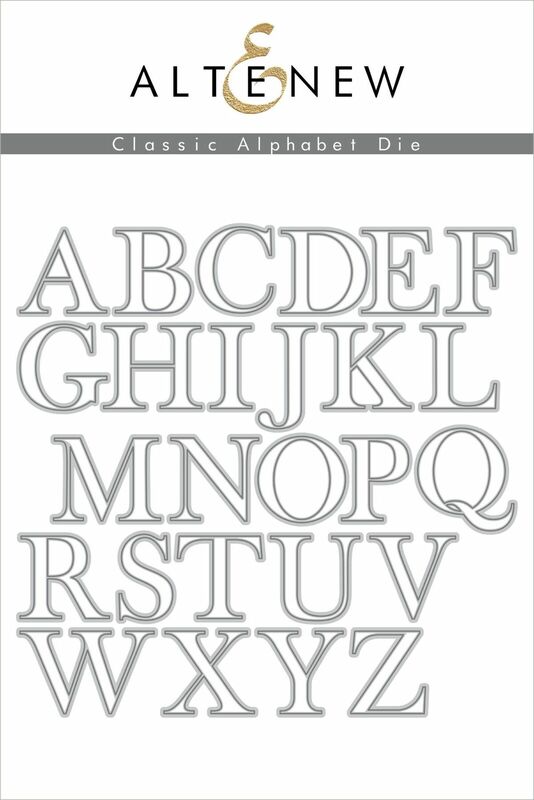 The new Classic Alphabet Die set is, then, a must have in my die collection, as the font is clear and clean, and the perfect size! 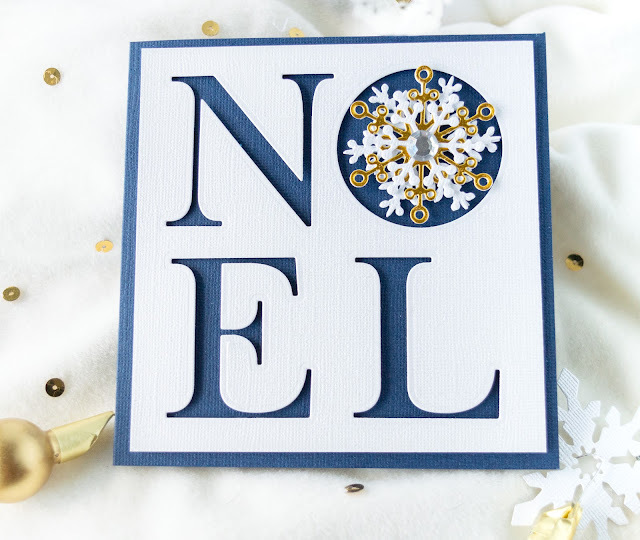 For this project, I chose to cut the word "NOEL" in a grid formation from frosted white cardstock. The center of the "O" was then replaced with a layered snowflake created using the new Layered Snowflakes die set. The gold and frosted white snowflakes bring enough shine and interest to this simple and elegant card. 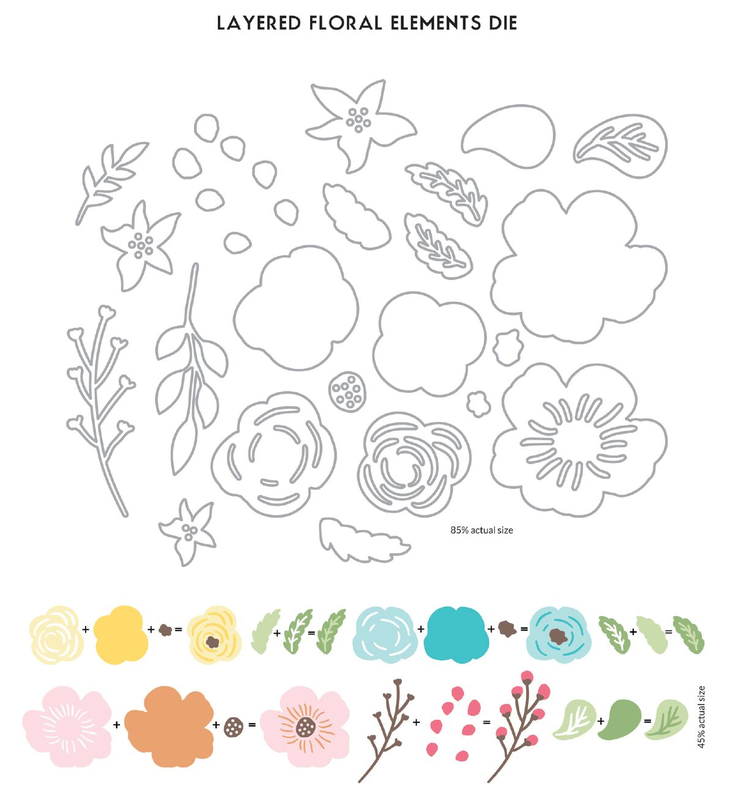 How fun are all those colorful florals combined with the awesome Classic Alphabet Die! Well, this month's Altenew releases are so gorgeous and so versatile, i had so much fun combining them to create diverse projects. For this project, I used a combination of the new Brilliant Baubles Stamp set and the Layered Snowflakes die set to create a very Holiday inspired layout. This time, i used a bit of black paint to create a messy background for the page. While the paint set, i used a few of the Altenew Crisp Dye inks and the Brilliant Baubles Stamp set to create all the Christmas decorations. 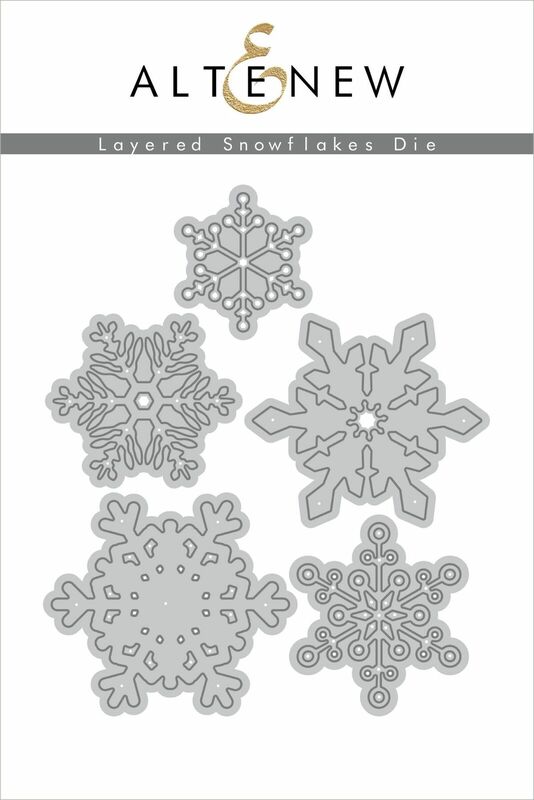 At the same time I created a few of the Layered Snowflake die cuts from white cardstock. Once the paint set, all the elements -the stamped Brilliant Baubles images, and the Layered Snowflakes die cuts- were used to create clusters around the page and picture of this page. All the color and texture on the page bring that happy and cheery feel of the season!. And now to my last project. Congratulations MIRIAM PRANTNER you are the winner of the $30 gift certificate to Altenew. 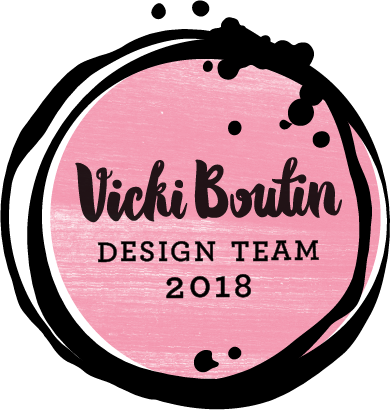 Please email Altenew at winner@altenew.com by 10/30/2018 with the subject line Altenew October 2018 Stamp/Die Release Blog Hop Winner from Nathalie's Blog to claim your prize. 2. You can also win a $30 gift certificate to the Altenew Store by leaving a comment in this blog. One lucky winner will be selected from all the comments left on this blog on 10/17/2018, Good Luck everyone!!! Wonderful creations! I love all your color and placement combinations. Your pages are just gorgeous! OMG your pages are so creative - love designs!!!!!! WOW, where do I even start?! You've got some eye for design and colour, girl, I am loving everything I have seen in this post! Creative, gorgeously planned out and put together - so well done! Thanks so much for your gorgeous inspiration! Your work is beautiful. The NOEL cards are so simple and beautiful. I do love my snowflakes! Oh my! SO much inspiration here! Your cards and layouts are STUNNING! So creative and fun. Thanks for sharing your creativity. cards are quite elegant with the pretty snowflake designs. Your layout pages are gorgeous! A wonderful job on your projects. These are absolutely gorgeous, thanks for sharing. Such beautiful layouts and cards, each one prettier than the one before Simply beauufiful! Fantastic projects! Love them all! Your cards and pages are fantastic!! I love every single one of them. Just gorgeous!! Fabulous projects Natalie, love them all! Your LO’s and cards are fantastic! I can see why you fell in love with the Playful Blooms💕 thanks for the inspiration! ALL ARE FAB! But that layout is freaking AMAZING! I love the way the flowers pop from the striped background! Your layout and cards are just beautiful. Gorgeous creations Nathalie! Wonderfully creative designs and variety of inspiration. I LOVE your cards and scrapbook pages!I really love the cobalt and white colors of the NOEL card and your scrapbook pages are beautiful!!! This post just blow me away. Those pages are just some of the best I have seen. You used the new sets to perfection. 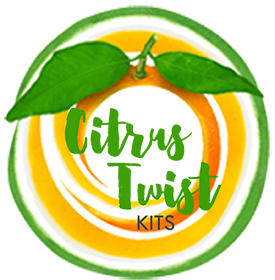 I have just found your blog and I am completely blown away by your talent.Your layouts and cards are beyond gorgeous.I love , love ,love all that you have created using the products from the new release.Stunning projects !!! I always enjoy looking through scrapbook layouts more than cards, because I’m more of a scrapbooker. They’re all beautiful! WOW - WONDERFUL layouts and cards! LOVE the inky layered flowers and baubles, ADORE your ELEGANT snowflake "NOEL" cards and GORGEOUS die cut layered flower layout! All of your projects are fabulous! I was wondering how to use the large letter die cuts and I loved seeing how you used them. Thanks for the inspiration. Stunning layouts & cards. I do not think I have seen your work yet on my craft journey so hello to you & your work is so fresh, modern & colourful. Thanks for setting off so many ideas. Great projects! I love your floral layouts. So pretty! And your card is wonderful. So many fantastically inspired looks from this release. I think my favorite (as if I could really pick a favorite from all the ones you shared) is the NOEL with the snowflake in the O. Such a clean, simple looking card, with high impact drama. totally love all your projects. Your projects are so pretty. You are very talented! So artistic, love the designs you have used with this release. Amazing layouts! wow! and LOVE the blue and white Noel...stunning! Beautiful beautiful layouts! 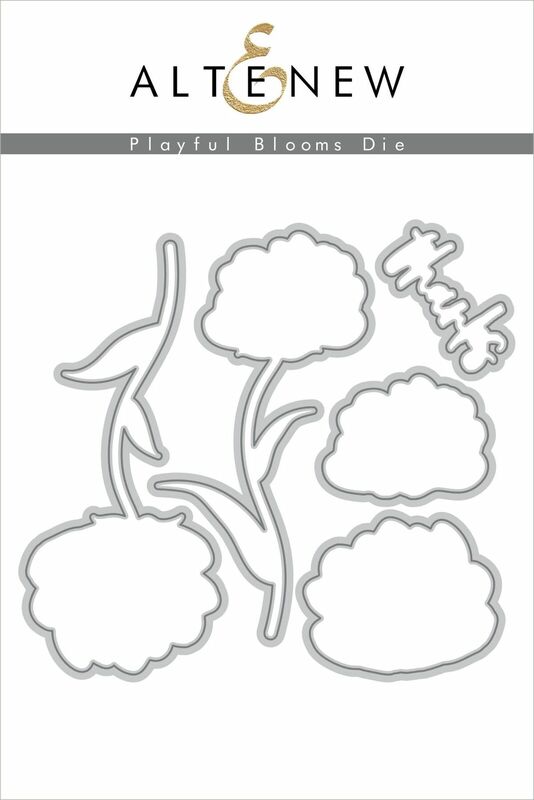 One of my favorite items from the release is the Playful Blooms set! Your layouts are all gorgeous!! Love the black horizontal stripes with the ornaments....brilliant! Every one of your projects is beautiful. The XO layout is my favorite. I love every single one of your designs. All your projects are exquisite. Thank you for sharing your talent with us! Beautiful projects! I am amazed at how much work you did. Great job! Beautiful cards and layouts. Thanks for sharing. 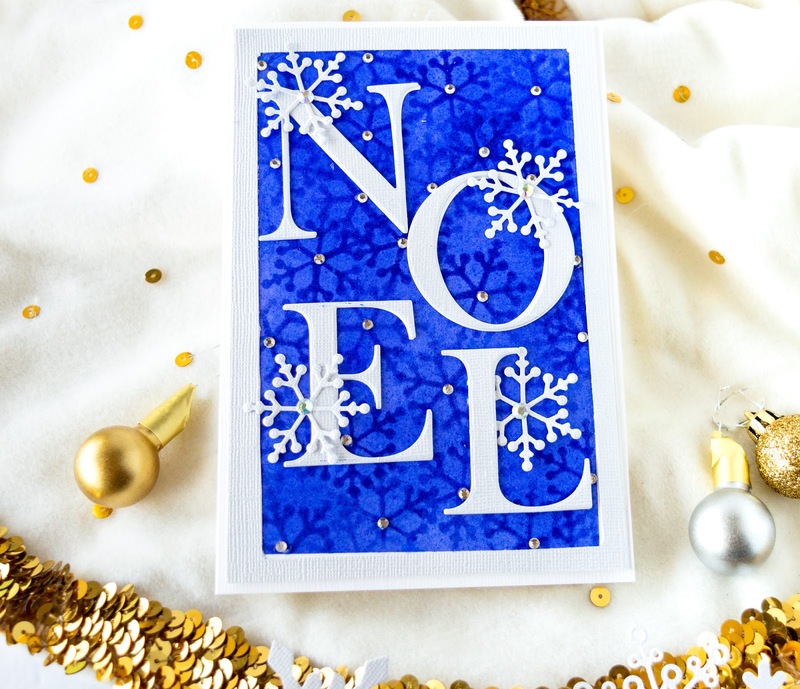 The deep blue of the noel snowflake card is so eye catching. 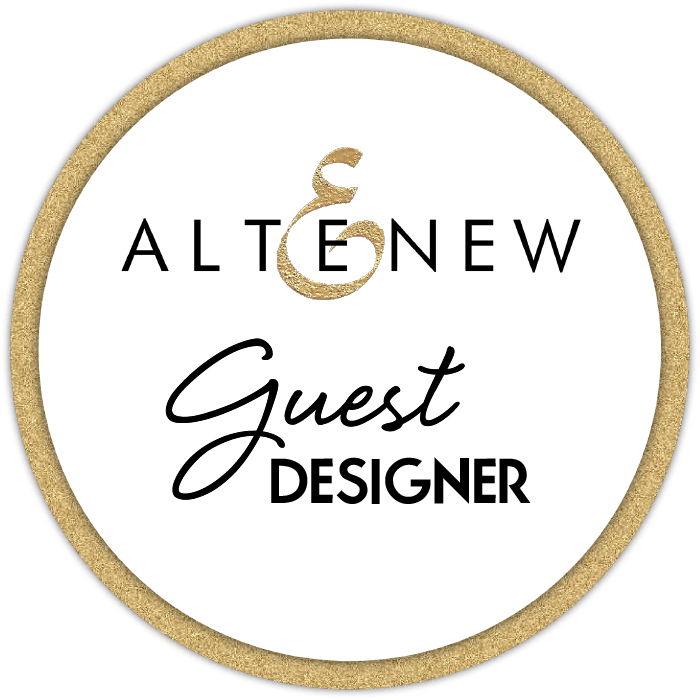 Thank you for sharing and participating in the Altenew blog hop! Amazing use of the flowers in your layouts. These are gorgeous!! I love that Noel card with the snowflake. I'm so in love with your creations, such beautiful work, it just kept getting better and better. Love those NOEL cards...creative way to use those snowflakes. WOW great projects! Couldn't pick a favorite. These alphabet dies are fantastic - beautiful projects! What a lovely and varied release with something for every occasion. Especially love those layered bloom dies, the swiss dots background and that gorgeous alphabet. Thanks for the beautiful inspiration! Your layouts are especially stunning! Your layouts are amazing!!! That first one is my favorite. I just love the clusters of flowers and they are a gorgeous color combination, and not far behind the layout with those bold black stripes and ornaments, wonderful! Hi... you are the winner of the Gift Certificate from my blog...congratulations... PLease email Altenew (winner@altenew.com) use the line OCTOBER 2018 STAMP AND DIE RELEASE BLOG HOP WINNER FROM NATHALIE'S BLOG on the subject line to claim your prize!!! Oh my gosh, your work is incredible! Every page is beautiful! 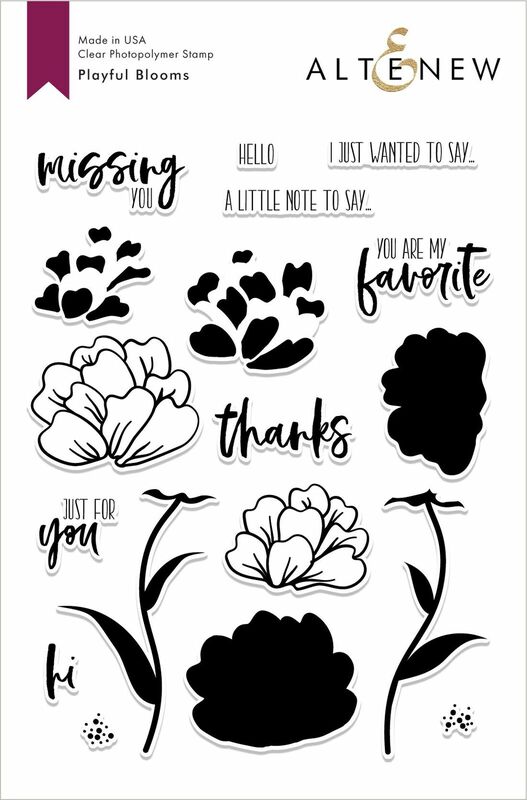 I also love the layered flowers and big alpha, and you used both so beautifully. Thanks for sharing all the details and the videos! Beautiful and unique cards and layouts. 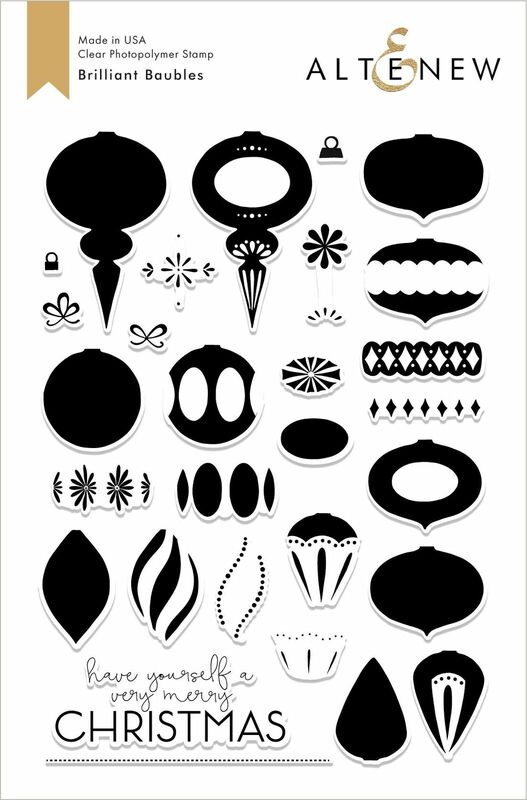 So many fun and lovely designs. Love that layout with the flowers tucked behind the fun letters. Thanks for the inspiration! Beautiful projects! I especially love your page with the ornaments, and the Noel cards with the snowflakes! Fun colors and designs! Nicely done! Wow, wow, WOW!!!! Love your work. 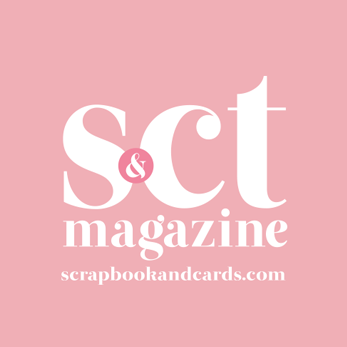 Fabulous cards, stunning pages and amazing videos. Gorgeous layouts! You are so creative and I can hear the excitement in your voice when you're designing your pages. You do a fabulous job arranging the florals and keeping everything balanced. Your card designs are lovely, as well! Wow, what fantastic and time consuming layouts you made. They are gorgeous. Thanks for sharing your time and talent with us. Wow, you were certainly busy with this new release. Thank you for sharing the beautiful results of all your efforts. My favorite is the square Noel card. The bold colors combined with the simple design are absolutely stunning! Each one of your layouts is so pretty that I think I would put them on display in frames! This newest Altenew release has a lot of great designs that will work well alone or with previous sets & I'm looking forward to getting them. So many fantastic designs! Very inspiring! 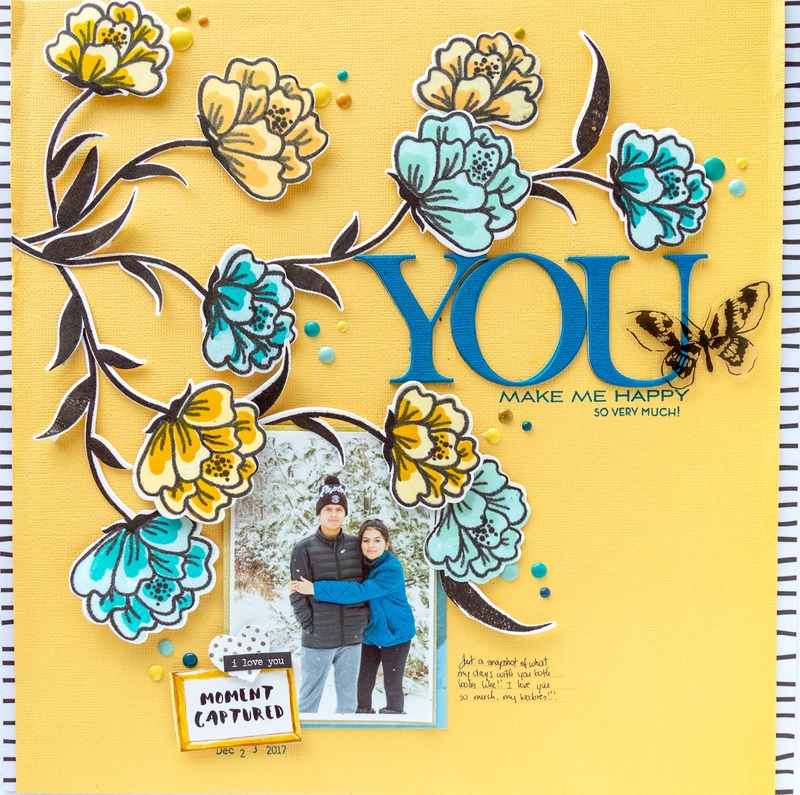 As a scrapbooker, I am always in awe of your beautiful page creations! You are truly an artist! 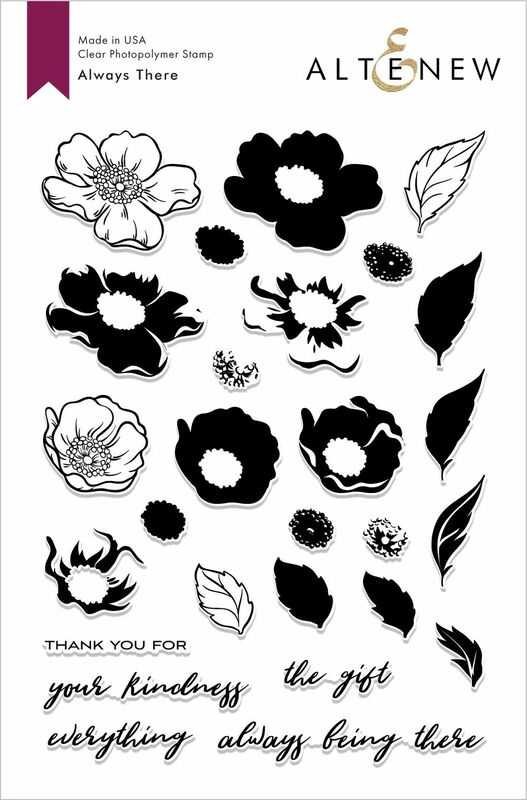 Love those layered flowers, and can't wait for them to arrive in my mailbox. 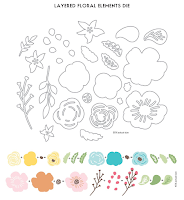 I also totally love that diagonal use of the Always There flower swawth---just gorgeous! Great videos, and every time I go back to look at your pages, I see something else. Your work is truly inspirational for me! Thank you! You did the stamps and dies justice. Everything is beautiful. And your ornament page is fabulous! Everything is spectacular!! I love your layouts, such nice pictures of your family. I love the flowers. The Noel is beautiful. Great job!! Your projects are so gorgeous! I especially loved the last layout with this beautiful yellow background, so adorable. Thanks for the inspiration. I absolutely love your layouts. They are just gorgeous!!!! Great creations. Your layouts are so fun. Your cards are just so pretty. I love how you used the negative space to create another card! Such eye candy! So many gorgeous creations and so many new ideas to try here. I love your use of alphas. Love the snowflake in the Noel. Wow! Thanks for the amazing inspiration! I really love the new release. It is awesome! Wow Nathalie! You've been one busy lady! But it's all beautiful! Soooooo much love! Soooooo much inspiration! Your cards and layouts are stunning! Thanks for sharing! Your entries are amazing - I love the two Noel cards. Very creative. Very pretty work. Love your layouts....thank you so much for sharing. Your projects are all beautiful. The first scrapbook page is my favorite -- gorgeous. So excited to have won! THANK YOU!! !